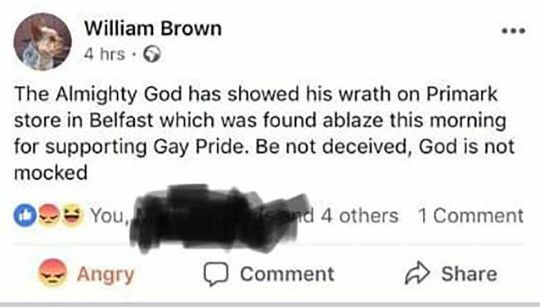 Religious nuts are blaming a department store fire that decimated a historic building in Belfast on “God’s wrath”” because the company had a LGBTQ display in its front window. 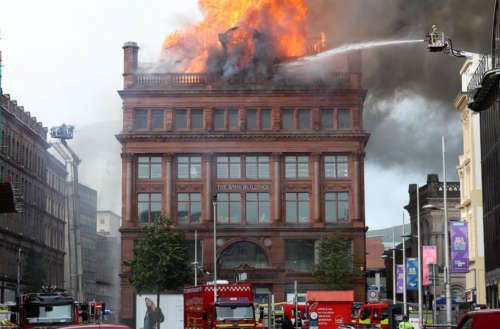 Officials have not determined what caused the blaze that destroyed the 233-year-old Bank Building in downtown Belfast on Tuesday. 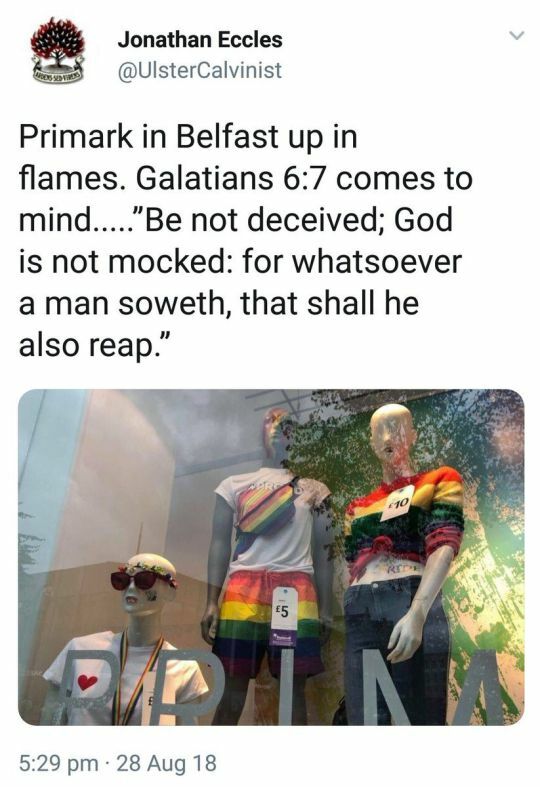 But on Twitter, commenters are already insisting it was the Pride month display in the Primark department store window that fanned the metaphorical flames. It took some 80 firefighters to contain the department store fire, which led to the evacuation of nearby businesses. Just weeks earlier, on August 4, Thousands marched through the streets in Belfast’s 25th annual Pride parade, which actually went past the Bank Building and its rainbow display. Representatives from the Northern Ireland Humanists are condemning the homophobic comments. 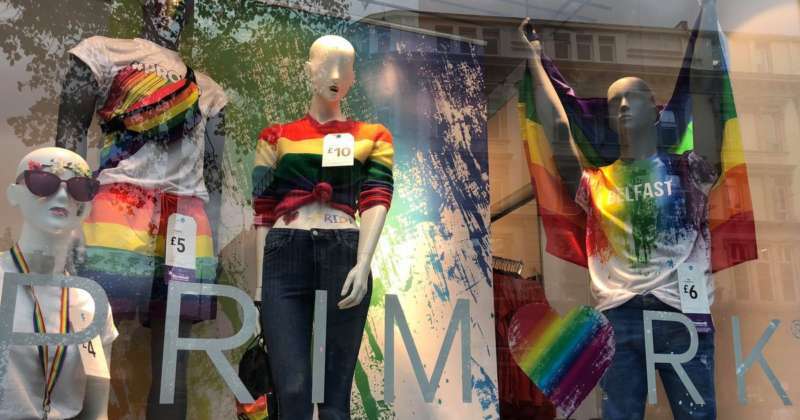 A Primark spokesperson defended the display from criticism. 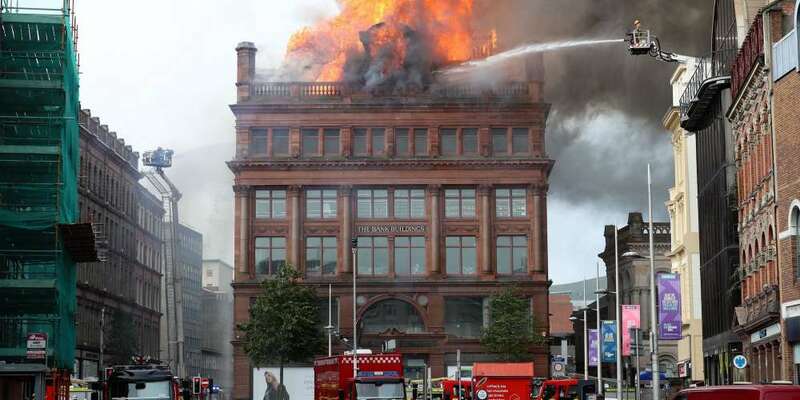 According to Metro UK, the historic structure had been undergoing a multi-million-dollar renovation.The building and surrounding area still cordoned off, as there is the continued threat of collapse. Engineers are working to establish whether the facade can be saved. Besides this department store fire, what other disasters have you heard gay people blamed for?